Thank you P.F. Chang’s for sponsoring this post and the tasty much needed date night! We don't get out together sans V too often. Our last date was February? Gahh. We need to get out more. Together. 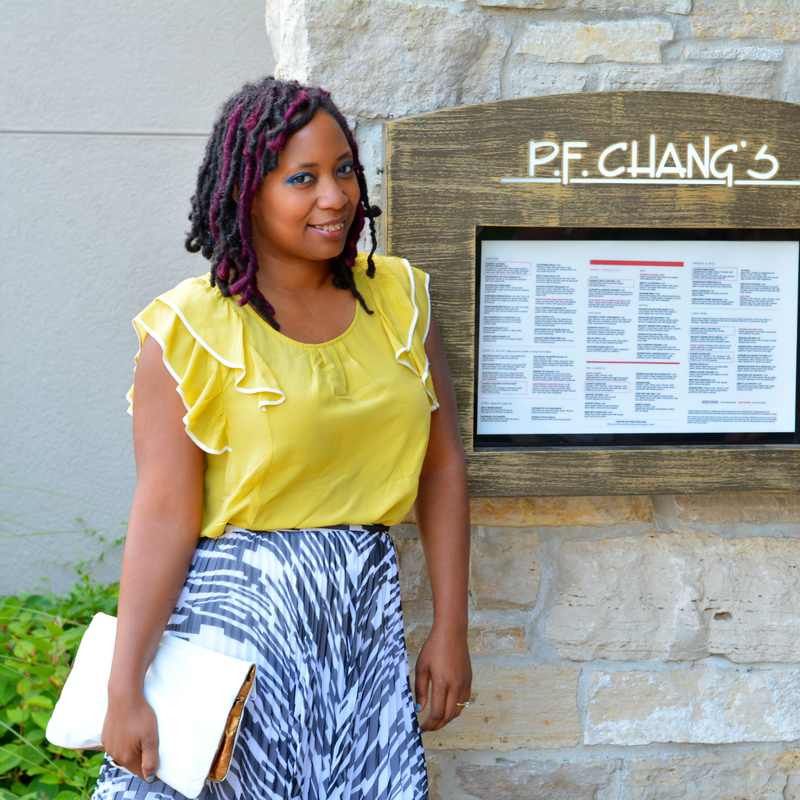 We both have a love of alfresco dining when the weather is warm so we opted for a nice drive up to P. F. Chang's Northbrook location. They have a fantastic happy hour menu so we sampled a variety of dishes and cocktails. There's lots to choose from plus they have a great patio to soak up the beautiful sunshine and people watch. You know what else is great about happy hour dining? No waiting on a Friday night! We arrived around 5p. While everyone was at home changing for their Friday night party, we were leisurely enjoying cocktails and were home at a decent enough hour to kiss Ms. V goodnight. 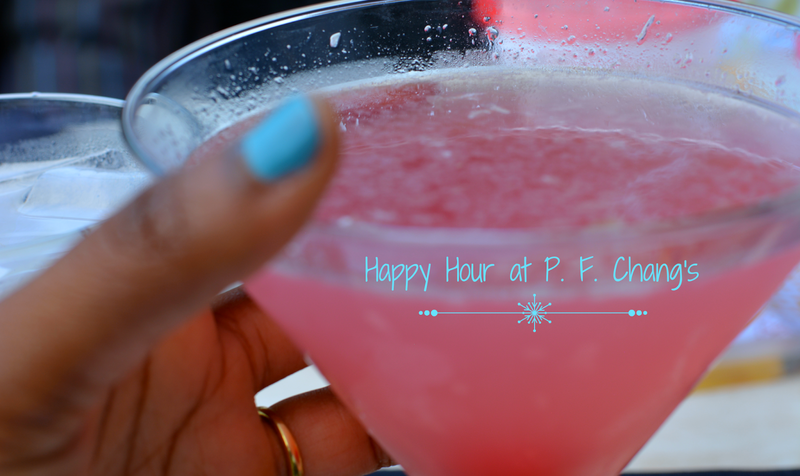 I tried the Pink Cherry Cosmo because pink drinks are my favorite party drink! It's made with Absolut Citron Vodka and Cointreau with fresh lime juice and cranberry juice garnished with a cherry. Deliciously sweet and refreshing. 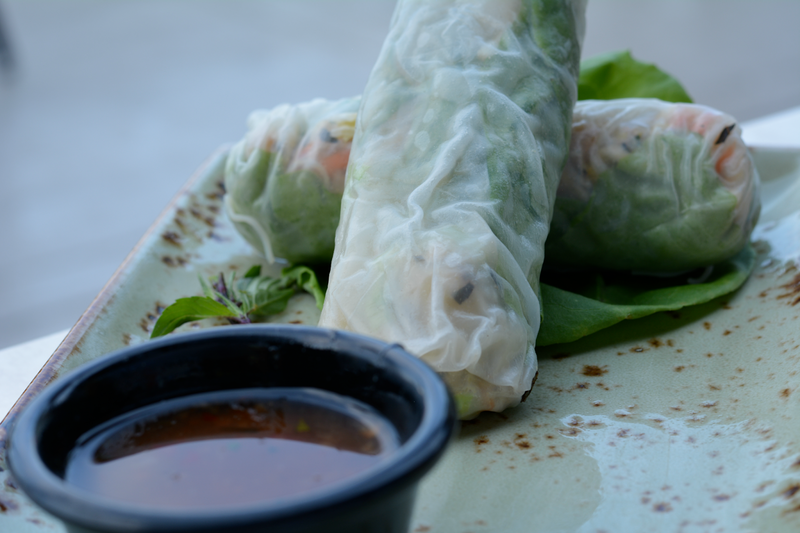 The Vietnamese Lemongrass Chicken Spring Rolls made with lemongrass chicken, julienne carrots, celery root, cilantro, peanuts, Thai basil and mint wrapped in rice paper, with a sweet chili dipping sauce. 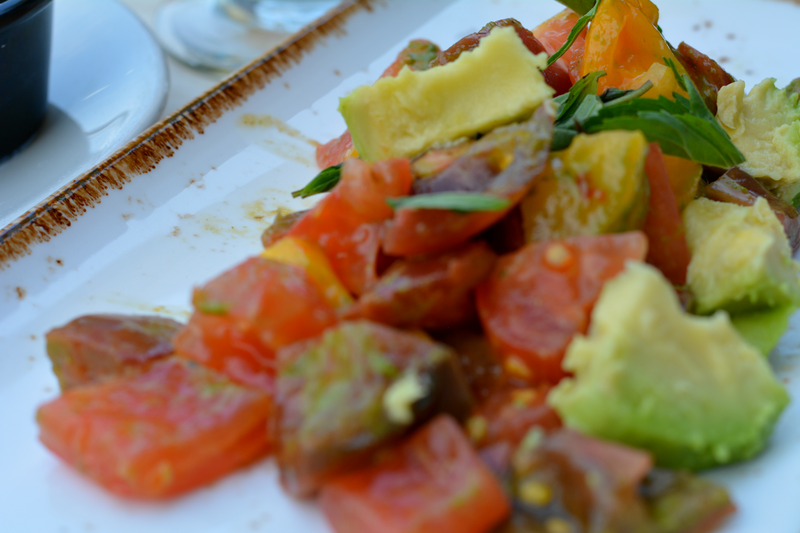 Next we enjoyed Heirloom Tomato Salad made with market-fresh heirloom tomatoes, avocado, Thai basil and zesty ponzu dressing. Both were light and refreshing and just enough to balance the cocktails we started with! 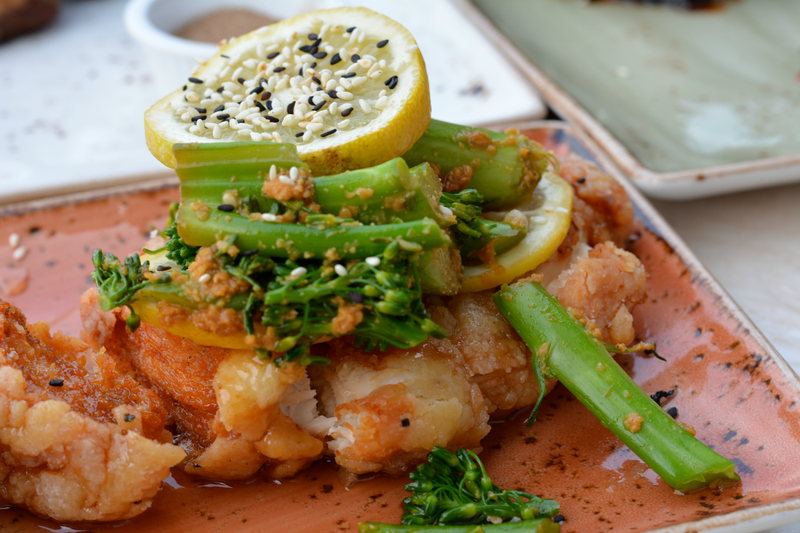 For the main course, we shared a delicious Cantonese Lemon Chicken made with fresh, crispy whole chicken breast sliced and drizzled with warm lemon sauce and served with chilled broccolini salad. We were quite stuffed 2 hours later. We were barely able to enjoy the ice cream we promised to bring back for Ms. V. It was a lovely date night and we vowed to do this more often. Who's babysitting? P.F. 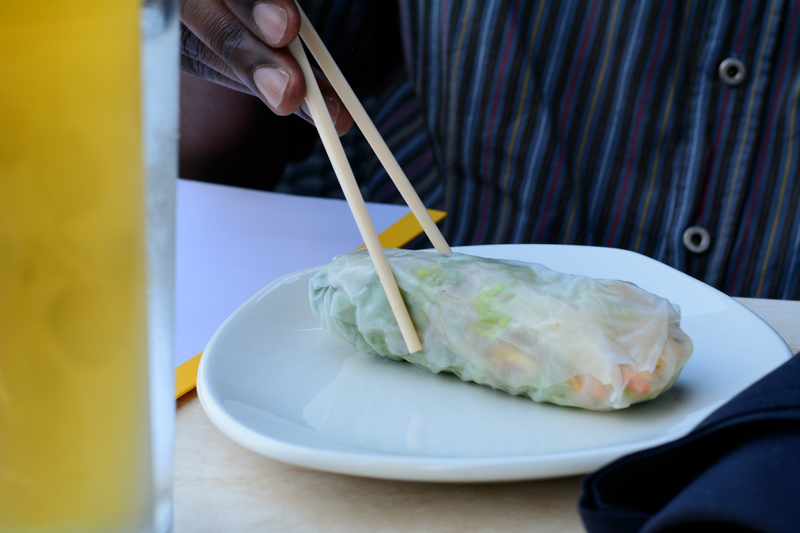 Chang’s is hosting a contest called “Perfect Pairings.” The contest will run from July 11 – August 18. A winner will be chosen by August 29. 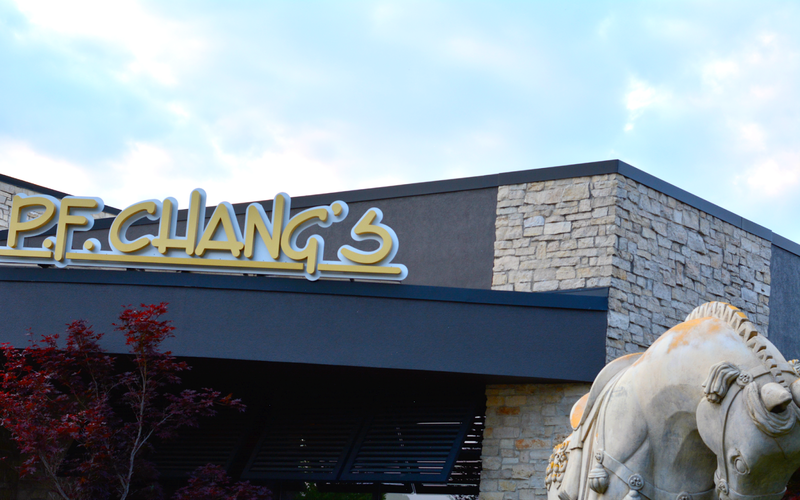 To enter the contest visit www.pfchangs.com/perfectpairings and tell them what two things you think pair perfectly together. Remember to get creative! What are some of your P.F. Chang's favorites? I've never been to one! We don't have one near here in KY.
Love P.F. Chang's! Have not been in a long time on this end AND, have not been on date with the hubby in a long time. Sounds like it is our time!